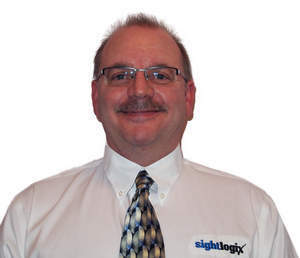 PRINCETON, NJ--(Marketwire - Feb 15, 2012) - SightLogix®, Inc., the leading intelligent thermal camera supplier for perimeter security applications, announces the appointment of Jim Augustine as its new Sales Support Manager for the Western United States and Canada. Mr. Augustine comes to SightLogix with extensive experience in networked systems, security project management, systems integration and sales. "During his broad experience in the security industry, Jim has helped customers and integrators choose the best technologies for their applications," said Dan Hearn, Vice President of Sales, SightLogix. "His technical knowledge and sales expertise will benefit new and existing SightLogix customers in this important region." Mr. Augustine worked most recently as a Cisco Physical Security technical trainer for GigaWave Technologies, a Cisco Learning Partner in San Antonio, TX. He previously provided pre-sale system design for integrator PSx Inc., Kennett Square, PA, and managed East Coast sales and operations for Global Surveillance Associates, a Las Vegas security integrator specializing in the casino gaming market. As regional territory manager for manufacturer's rep firm Carlberg-Warren, Garden Grove, CA, he handled 15 lines covering seven states. SightLogix outdoor surveillance systems protect critical infrastructure and key assets of the transportation, energy, utility, chemical, datacenters, public safety, school and religious campuses, and defense industries. The company's SightSensor video analytic camera and Clear24 thermal camera provide full situational awareness to increase both the effectiveness and efficiency of security operations. For more information, visit www.sightlogix.com.